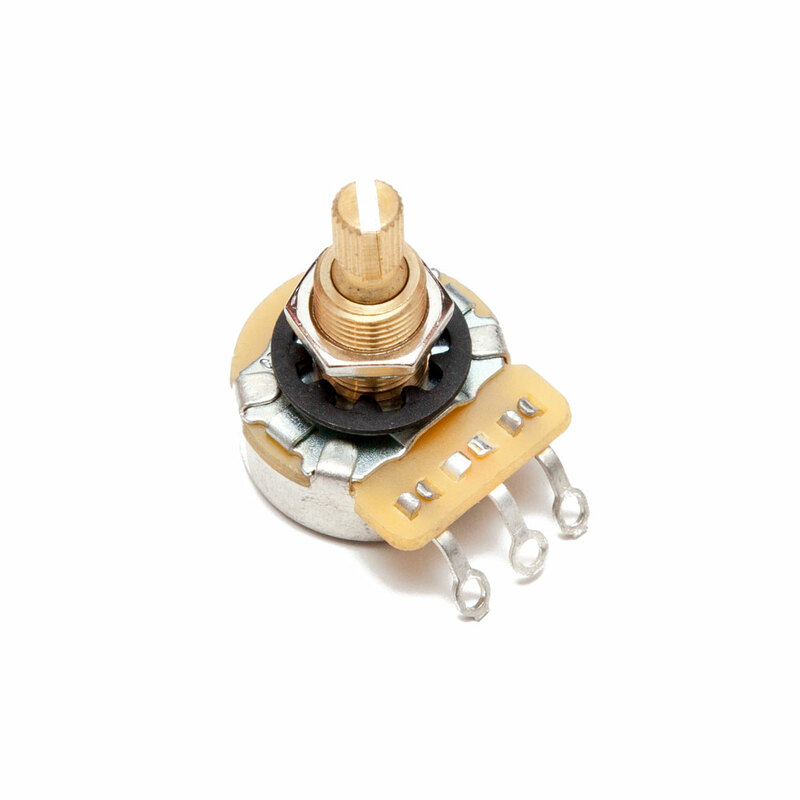 CTS potentiometers are high quality and renowned controls for guitar electronics. The 250K Ohms resistance gives a warmer tone and traditionally used for single coil pickups and its linear taper traditionally used for tone pots. Fits imperial sizes knobs, and to use knobs with a set screw with the pot, simply line up the set screw with the split in the shaft and tighten the set screw.